Stress Relief Grand Rapids MN | Davis Chiropractic Health & Wellness, P.A. Stress is a psychological condition with many physical consequences. It begins in the mind, with the mental confrontation of some perceived dilemma. Stress can be short-term, dealing with a temporary problem, or chronic: a lengthy occurrence lasting weeks, months, even years. 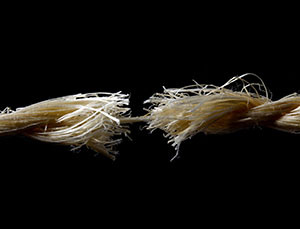 Over 75% of Americans experience varying degrees of stress in their daily lives. From work related stress to struggling with catastrophes and difficult life decisions, stress has become an all-too-common occurrence. The body responds to stress by muscle tension and nerve excitability which can increase the feeling and experience of stress. Simply speaking, a chiropractor can help your body and mind to relax and function normally by muscle and nerve relaxation techniques. All the stress travels through the nervous system, thus a poorly functioning nervous system will not allow the body to properly adapt the the stress. This will cause problems physically. Chiropractic can reset the nervous system and allow your body to heal itself , again without the use of drugs or surgery. Contact Dr. Davis today for stress relief, and get back to a life of wellness.